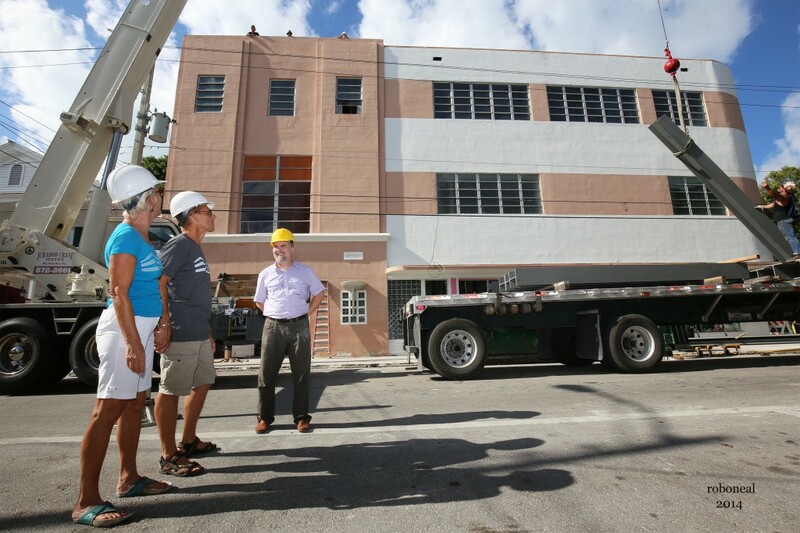 Studios of Key West's new location on Eaton Street will include Books & Books . Next month, the Studios of Key West, Key West, Fla., a nonprofit cultural and educational organization, is opening a branch of Books & Books in its site, a bookstore that will have 75 feet of shelves "holding fiction, nonfiction, bestsellers, poetry, art and architecture titles and magazines," the Key West Citizen reported. The organization has hired a full-time manager for the bookstore, which will be run with the help of Books & Books. The bookstore will include local authors' work and "lots of gorgeous art books," said the Studios' deputy director, Elena Devers. Greenlight Bookstore, Brooklyn, N.Y., which opened its first location in Fort Greene in 2009 with the help of a Community Lenders program, is reinventing the program for its new store, which should open later this year in Prospect Lefferts Gardens. In an e-mail to customers, owners Rebecca Fitting and Jessica Stockton Bagnulo wrote: "While Greenlight is a successful business, with more access to capital than we had as hopeful start-up entrepreneurs, we still believe in the value of community-based financing. Our community lenders were truly invested in the bookstore, and the store's success allowed us to repay their faith in us--with interest! We want the new Greenlight location to have the same kind of deep connection to our neighbors and supporters, so we're inviting you to join us in building the bookstore. Becoming a community lender is a way of investing in your community, and making something great happen where you live." Under the Community Lenders program, participants make a minimum loan of $1,000. Greenlight will repay all loans, with interest of between 2.5% and 4%, compounded annually, over a period of five years, with payments made quarterly. Repayments begin one year after the store's opening date. Lenders also get "employee" discounts during the life of their loan, as well as other perks and privileges. The deadline to participate is June 1. Greenlight estimates the costs of opening a "first class" new store at $200,000, and expects to raise some of this from institutional loans or lines of credit as well as from the Community Lenders program. Even after its move to a much cheaper location--where the rent is slightly more than $6,000 a month instead of the $45,000 at its previous site--St. Mark's Bookshop in NYC's East Village owes more than $62,000 in back rent, its landlord, the New York City Housing Authority, has charged in court documents. The case has been adjourned until January 20; St. Mark's faces possible eviction. St. Mark's attorney James West told Bedford and Bowery that he is trying to have the case, which "has not yet advanced beyond hearing status," dismissed on technicalities such as "inaccuracies contained within NYCHA's petition." He added that he hopes the Housing Authority will consider "a positive settlement" and take the bookstore's cultural value into account. St. Mark's co-owner Bob Contant said that business has not fully recovered since the 2008 downturn and that the store has continued to have insufficient inventory. The costs of the move and being closed for a time also contributed to its shaky financial state. St. Mark's has run several crowdsourcing fundraising campaigns and made pleas for customers to buy more and help the store. Its most recent gofundme campaign, created November 30, has raised only $18,706 of the $150,000 the store said it needs "to have a future beyond 2015." British publisher Pushkin Press, which has traditionally focused on fiction in translation, will launch a nonfiction line later this month, beginning with Summer Before the Dark by Volker Weidermann. The Bookseller reported that Pushkin plans to "include more contemporary and classic narrative nonfiction as part of its front list titles this year." The goal is to build toward six to 10 new nonfiction titles each year, initially in hardcover. Managing director Adam Freudenheim said Pushkin "has occasionally published nonfiction, here and there, but starting in 2016 we have more narrative nonfiction on our frontlist, both contemporary and classic." Pushkin Press is distributed in the U.S. by Penguin Random House. Southland Books & Cafe in Maryville, Tenn., was robbed for the second time in less than a week, but the latest burglary "did little to tame the spirit of Southland Books co-owner Lisa Misosky," the Daily Times reported. Misosky, who had previously noted that the thieves "weren't particularly smart" when they failed to take one of the store's two cash registers in a December 29 incident, said, "They took both registers this time. I guess that shows they can read." She also noted that there was little cash in either register: "The biggest expense will be replacing the door. We're getting a metal door, and new security cameras.... We left a Bible out on the counter for them this time. They failed to pick that up." Olwyn Hughes, a literary agent "with a fearsome reputation who was devoted to the work of her brother, Ted Hughes, and the posthumous literary life of his wife Sylvia Plath," died January 3, the Guardian reported. She was 87. Noting that she "was aghast at the poor terms being offered to her brother," the Guardian wrote that "Ted in turn was surprised to learn that contracts could actually be negotiated. Hitherto, simply grateful to be published, he had just signed whatever contract he was sent. So began Olwyn's career as his agent." Her clients also included novelist Jean Rhys. Yesterday, in Times Square, Living Language invited New Yorkers to share their 2016 resolutions and say it in a new language, whether their resolution is to learn a new language, travel, volunteer or "let peace begin with me." Sketch artists added each person and their resolution (written in Spanish, French, German or Chinese) to a 12-foot long communal wall, collecting resolutions throughout the day. As part of the promotion, Living Language distributed thousands of free one-month trials for its courses, available in more than 30 languages. 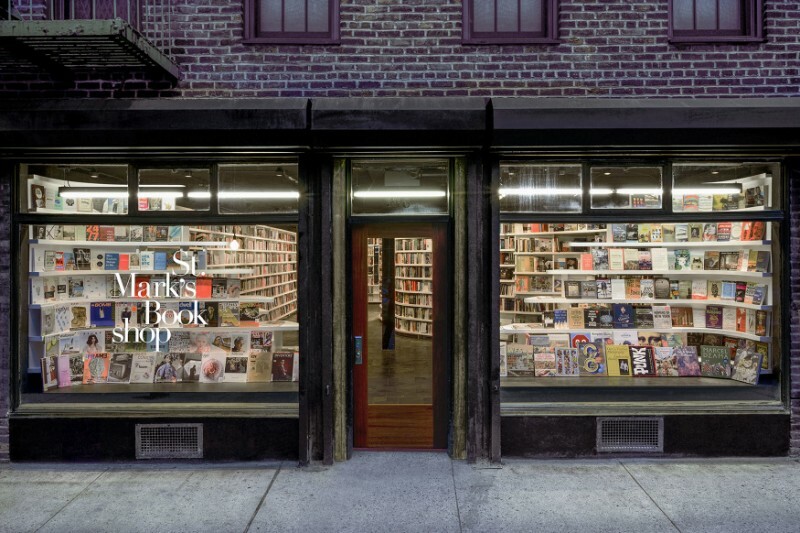 Food & Wine magazine showcased its choices for "America's Best Indie Book Stores," noting that "even with the somewhat precarious position of the paperback world in general, indie shops are still out there not just running businesses, but cultivating community. Here, the best places to still pick up a good book." Effective January 19, John "JD" Wilson will join Northwestern University Press as director of marketing and sales, a new position created in response to "the increasingly complex business environment within which university presses operate today." Wilson has 26 years of experience in publishing and marketing with an emphasis on scholarly books and brings expertise in book sales and distribution, product development, marketing, publicity, metadata management and social media. He has been sales and marketing director at the University of Alabama Press and previously was academic sales manager in both the Vermont headquarters and Tokyo office of the Charles E. Tuttle Publishing Company. He also served as director of marketing at the Cheng & Tsui Company of Boston, Mass. Incidentally Northwestern University Press has just received a three-year, $73,000 grant from the Andrew W. Mellon Foundation (the grant is one of the first of the new Humanities Open Book program, jointly sponsored by Mellon and the National Endowment for the Humanities), which will be used to make important but out-of-print titles available digitally and to demonstrate the usefulness of open access monographs for research in the humanities. The press will create free e-book versions of 64 outstanding humanities titles in African studies, literary criticism and philosophy. Echoes of Tattered Tongues: Memory Unfolded by John Guzlowski (Aquila Polonica Publishing), a searing memoir by the poet who, with his Polish parents--who worked as slave laborers in Nazi concentration camps--were refugees and settled in the U.S. in 1951. Live with Kelly and Michael: Ian K. Smith, author of The Shred Power Cleanse: Eat Clean. Get Lean. Burn Fat. (St. Martin's Press, $22.99, 9781250061225). 7 p.m. Malcolm Gay, author of The Brain Electric: The Dramatic High-Tech Race to Merge Minds and Machines (Farrar, Straus and Giroux, $26, 9780374139841). Laura Amy Schlitz's The Hired Girl won the $5,000 Scott O'Dell Award, which recognizes a "distinguished work of historical fiction for young people published by a U.S. publisher and set in the Americas," the Horn Book magazine reported. The award was created in 1982 by O'Dell (best known as the author of The Island of the Blue Dolphins) and Zena Sutherland and is now administered by Elizabeth Hall. Noting that the "book trade is relatively lightly represented" among this year's British New Year's Honors, the Bookseller reported that literary agent Ed Victor became a Commander of the British Empire (CBE) for services to literature, while crime writer Simon Brett was awarded an OBE (Officer of the British Empire) and Vivian French, author of the Tales from the Five Kingdoms series, received an MBE (Member of the British Empire) "for services to literature, literacy, illustration and the arts." Playwright and screenwriter Peter Morgan was awarded a CBE and art historian Sir Roy Strong was named a Companion of Honor for services to culture. The Selected Poems of Donald Hall by Donald Hall (Houghton Mifflin Harcourt, $22, 9780544555600). "This is a gift of honesty, intimacy, and the pure genius that is Donald Hall, as he hand-picks what he considers to be the best of his poetry from more than 70 years of published works. From this former U.S. Poet Laureate comes one essential volume of his works, where 'Ox-Cart Man' sits alongside 'Kicking the Leaves' and 'Without.' As he is no longer writing poetry, this 'concise gathering of my life's work' is the perfect introduction to Hall's literary contributions, as well as closure for his many ardent followers." --Katharine Nevins, MainStreet BookEnds of Warner, Warner, N.H.
First Bite: How We Learn to Eat by Bee Wilson (Basic Books, $27.99, 9780465064984). "Food scholar Wilson explores not only how our food habits are shaped and the origins of our tastes, but also the problems we have with our present diet and how we can change our palates to lead healthier lives. Entertaining, informative, and packed with food wisdom, First Bite belongs on the shelves of food lovers, history buffs, and all fans of good writing." --Linda Bond, Auntie's Bookstore, Spokane, Wash. The Boys by Toni Sala, translated by Mara Faye Lethem (Two Lines Press, $14.95, 9781931883498). "Beautifully composed, with a voice that is uniquely his own, Sala with The Boys, winner of Catalonia's highest literary award, heralds a stirring new voice in English translation. Sala's novel, set in an age of increasing detachment and anxiety, unflinchingly espies the tenuous connections and moral ambiguities of modern life. With vivid characters, confident prose, and a heady mix of style and substance, The Boys deserves major attention from devotees of international literature and especially fans of António Lobo Antunes, Javier Marías, Gonçalo Tavares, and Roberto Bolaño." --Jeremy Garber, Powell's Books, Portland, Ore.
Waddle! Waddle! by James Proimos (Scholastic, $17.99, 9780545418461). "Waddle... waddle... bellyslide! Journey along with this hopeful penguin as his search for his new friend takes him on some zany adventures--and, ultimately, to an unexpected and heartwarming conclusion. Delightfully silly!" --Tegan Tigani, Queen Anne Book Company, Seattle, Wash. The Adventures of Miss Petitfour by Anne Michaels, illustrated by Emma Block (Tundra Books, $17.99, 9781770495005). "I love these whimsical stories from Michaels and the lovely full-color illustrations from Block! Sweet and endearing with just the right touch of fanciful adventure, this is perfect for cat-lovers of all ages and especially those young readers with an interest in writing down their own adventures." --Johanna Albrecht, Flyleaf Books, Chapel Hill, N.C. This Raging Light by Estelle Laure (Houghton Mifflin Harcourt, $17.99, 9780544534292). "Abandoned by her mother and with her father out of the picture, Lucy finds herself with an empty pantry, bills piling up, and a hungry little sister to take care of. This Raging Light is Lucy's survival story as she finds what she needs within herself to keep going in the face of overwhelming obstacles and, in the midst of those circumstances, fall in messy, complicated love. Laure's debut is luminous, and Lucy will stay in readers' hearts long after they turn the last page." --Stephanie Appell, Parnassus Books, Nashville, Tenn. The Name of God Is Mercy by Pope Francis, translated by Oonagh Stransky (Random House, $26, 9780399588631) is a conversation between Vatican reporter Andrea Tornielli and the Pope about his message of mercy. When Breath Becomes Air by Paul Kalanithi, foreword by Abraham Verghese (Random House, $25, 9780812988406) is the memoir of a 36-year-old neurosurgeon who received a terminal cancer diagnosis. He died in March 2015. The Defender: How the Legendary Black Newspaper Changed America by Ethan Michaeli (Houghton Mifflin Harcourt, $32, 9780547560694) chronicles the history of the Chicago Defender, a black activist newspaper started in 1905. The Hundred-Year Walk: An Armenian Odyssey by Dawn Anahid MacKeen (Houghton Mifflin Harcourt, $24, 9780618982660) tells the story of a man who escaped the Armenian Genocide and his granddaughter's retracing of his steps. My Name Is Lucy Barton: A Novel by Elizabeth Strout (Random House, $26, 9781400067695) follows a mother and daughter bonding during a hospital stay. The Bitter Season by Tami Hoag (Dutton, $28, 9780525954552) continues the Kovac and Liska mystery series. The Longest Night: A Novel by Andria Williams (Random House, $27, 9780812997743) turns a real-life 1959 nuclear plant accident into a domestic drama. Scandalous Behavior by Stuart Woods (Putnam, $28, 9780399174681) is the 36th Stone Barrington novel. The Lost Tudor Princess: The Life of Lady Margaret Douglas by Alison Weir (Ballantine, $30, 9780345521392) is the biography of a niece of King Henry VIII. Retire Inspired: It's Not an Age, It's a Financial Number by Chris Hogan (Ramsey Press, $24.99, 9781937077815) gives retirement planning advice. A God in Ruins: A Novel by Kate Atkinson (Back Bay, $17.99, 9780316176507). Here Come the Dogs: A Novel by Omar Musa (The New Press, $16.95, 9781620971178). Leaving Before the Rains Come by Alexandra Fuller (Penguin Books, $17, 9780143128427). The 18th-century astronomer William Herschel was justly famous for his pioneering work with telescopes and discovery of several celestial bodies, including the planet Uranus. His sister Caroline, known as Lina, who worked as his assistant for decades, was an accomplished astronomer in her own right, too. 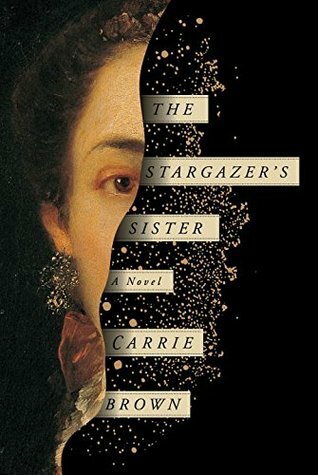 In her sixth novel, The Stargazer's Sister, Carrie Brown (The Last First Day) brings Lina's story to light, creating a richly imagined account of astronomy, sacrifice and love. Small, slight and deeply scarred from a childhood bout with smallpox, Lina is the least favored child of her domineering, dissatisfied mother. When William rescues her, as a young woman, from her life of drudgery in their native Hanover, Lina feels as though the world has opened up to her. Settling in Bath, England, she gladly gives herself to the task of running William's household as he throws himself into his astronomy work with passion and abandon. Although Lina finds it difficult to keep up with William's energy and intellect, she gradually adjusts to her new life, managing housework by day and assisting her brother at his telescopes by night. As she transcribes his notes and answers his correspondence, Lina gains a level of scientific knowledge she had never dreamed possible, and she longs to make discoveries of her own. Brown tells her sweeping story in clear, lucid prose, taking readers along on Lina's journey from her cramped, dimly lit life in Hanover to her expansive, glowing life in England with William. Recounting Lina's hopes and fears, Brown explores the deep ambivalence that accompanies Lina's love for her brother: her deep sense of gratitude for his rescue and care, coupled with exhaustion at the physical and mental demands he makes of her. When William announces his intention to marry Mary Pitt, a rich widow, Lina is devastated. But her years at the telescope have taught her both patience and fortitude, and she manages to carve out a place for herself both in William's new life and in the scientific community. Shelf Talker: This is a sparkling, lyrical novel about Caroline Herschel, an 18th-century astronomer who worked in tandem with her brother William. 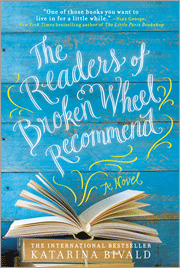 In yesterday's story about Sourcebooks Landmark's Readers, Recommend Your Bookstore sweepstakes in celebration of The Readers of Broken Wheel Recommend by Katarina Bivald, we inadvertently illustrated the story with the cover of the U.K. edition. Here is the U.S. edition. Our apologies for the confusion! 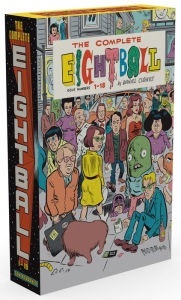 This collector's set contains every Eightball comic up to issue 18 (which means no David Boring, Ice Haven, or The Death Ray; as Clowes himself says in the introduction to the first volume: "they represent a distinct shift in size, format and style from the anthology comics collected herein"). The collection feels like all the individual issues were bound together into two hardcovers, with original paper quality, cover stock and mistakes intact. There's even a small Modern Cartoonist that was originally packaged with issue 18! Clowes's work is a bit raw in the first volume, with a lot of short gag pieces (including most of the "Dan Pussey" stories and the final "Lloyd Llewellyn" strips), and the nearly incomprehensible Like a Velvet Glove Cast in Iron. It's in the second half of the collection where Clowes really hits his stride, with the excellent Ghost World as well as more refined shorter pieces, including "Gynecology," "Caricature" and "Like a Weed, Joe." The stories in the second half are no longer screeds against the many people and things that Clowes personally dislikes (though those are quite funny), and are more thought-provoking pieces about facets of lives many of us will never experience. Handselling Opportunities: Fans of early '90s North American alternative comics and historians or collectors who want the tactile feeling of the same. In the bubbled city, only the perfect are allowed to have children. But if you leave the safe and air-conditioned utopia for the hot and harsh wilderness known as the Oven, where the sun can kill you if you're not careful, you can have as many kids as you like. Sydney and Eric try to start a new life in the Oven, filled with farming, laundry and a lot of hard work. It's not the paradise of freedom Syd and Eric were expecting. This is a short story that explores a lot of themes and subjects, but it's ultimately the tale of one couple, and their occasionally overlapping and often contradictory desires. Sydney and Eric both seem to want a baby together, evident by the fact that they've left utopia to have one. 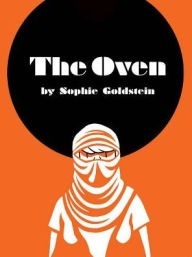 But as the days in the Oven grow longer and hotter (which the reader can feel thanks to all the reds and oranges Goldstein uses in her palette), will they still feel the same way, or will they want to go back to their easier life, even if they can't have children? Goldstein's loose and cartoony art belies heavy subject matter, including relationship dynamics, drug use, the trade-offs between living a life without oppressive control and living a life without technological amenities, and what freedom might mean to different people. Handselling Opportunities: Fans of philosophical musings that are nicely wrapped around a love story. 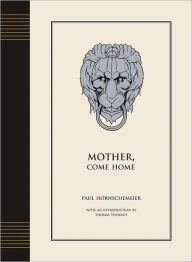 Mother, Come Home is Hornschemeier's first long-form comic, originally published in 2003. It has since changed publishers and been out of print a few times, but it's now available again thanks to Fantagraphics. First, a warning: this comic is quietly devastating, and beautifully so, in the same way that Grave of the Fireflies is, so make sure you have a suitable My Neighbor Totoro-like chaser to lift your spirits back up once you've finished. Thomas Tennant's mother has died from cancer, and he and his father go on their new existence as normally as they can. But Thomas's father doesn't sleep in their room, and even though he's moved their bed into the attic, he sleeps on the floor. Thomas looks after the "grounds" that were formerly his mother's domain, and he rarely takes off his lion mask, which was one of the last presents his mother gave him. They go through the motions, but Thomas's father is slipping away, and Thomas knows it. Told from the perspective of a grown-up Thomas who is looking back, the reader knows this story will not end well, but is inexorably drawn to believe otherwise by Hornschemeier's cartoony art and almost lackadaisical yet precise narration, as if the older Thomas is uninterested in telling you his story but cannot stop. Never have peanut-butter-and-jelly sandwiches meant so much. Handselling Opportunities: Anybody who needs a good cry. D+Q 25 is an anthology full of new and reprinted comics (including the first new Joe Matt comics in more than a decade), a collection of appreciations, photographs, interviews and critical essays, plus an amazing history of D+Q itself by Sean Rogers and Jeet Heer. I thought the 700-plus pages would be daunting, but this is actually an incredibly fun and quick read. It features never-before-seen art and comics by Kate Beaton, Chester Brown, Tom Gauld, the aforementioned Joe Matt, Rutu Modan, Jillian Tamaki, Yoshihiro Tatsumi and many more. I couldn't possibly talk about everything, so let me just pick out some of my favorite bits: a preview of the second part of Yoshihiro Tatsumi's autobiography A Drifting Life; the interview with Helge Dascher, D+Q's main translator for comics originally in French and German (as well as translator of D+Q's English comics for French and German audiences); the two new hilarious Kate Beaton strips and new Seth art (even if it's not a comic). This is everything you've ever wanted to know about D+Q, including who's taking over as publisher from Chris Oliveros. 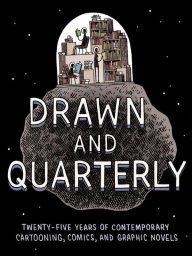 Handselling Opportunities: Comics lovers in general and D+Q fans in particular.